SoftFIRE integrates European independent testbeds that are made available with a set of basic functionalities related to Network Function Virtualization and Software Defined Networking. The project is aiming at assessing three major characteristics that an NFV/SDN platform should support: interoperability with various functional elements, programmability of the offered functions and security of the entire framework. The federated infrastructure is devoted to experimentation / development of services and applications. Services and applications are chosen in a competitive way by means of Open Calls. The SoftFIRE Project will support three waves of Open Calls. The different waves will benefit from the incremental empowerment and consolidation of the single testbeds and the federated one. More information about SoftFIRE can be found here: www.softfire.eu The current document is about the Third Open Call. 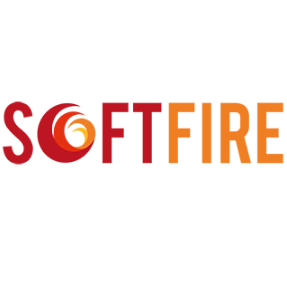 The SoftFIRE Consortium invites applications to its Third Open Call for experiments to be carried out on the Federated Testbed. For this Open Call, SoftFIRE is especially interested in receiving proposals for experiments covering NFV security, SDN programmability, and software architecture evolution towards 5G. In particular, the project has consolidated its security functionalities and invites proposals that will make use of this improved security framework. Improvements are related to APIs extension and new and dedicated VMs in terms of firewalls, IDSs and proxies. We have consolidated the SDN functionalities in order to provide an extended control over communication resources. New security related features are scheduled. On top of this, the third Open Call is an opportunity for experimenters to propose new 5G oriented experimentations. The platform will also now provide a physical resource manager to make 5G resources and devices more easily accessible. The experimenters should base their proposals on the SoftFIRE handbook document. Going forward, new extensions for security functionalities will be added in the documentation. Functionalities related to the physical resource manager will also be added. All the extensions will be documented in the SoftFIRE slack channel, the SoftFIRE website (docs.softfire.eu) and will be added to a new version of the cited document. 222 vCPUs, 799 GB of RAM, and almost 4 TB of storage. 5G capabilities will be offered on demand, like mobile core networks and IP multimedia subsystem. However, it is important to clarify that access to the individual OpenStack instances will be granted only via the SoftFIRE middleware, and in most of the cases OpenStack APIs will not be available to be directly consumed by experimenters. For scarce resources, (i.e. RAN) the allocation will not be exclusive to a single experimenter and resources will be subject to scheduling. In certain cases the experimenters will need to be on site at an individual testbed for operating the resources in question. The testbed is aligned with industry-oriented standardisation efforts: TOSCA is exposed to experimenters for deploying and provisioning resources on the federated infrastructure. At any time experimenters can get familiar with the TOSCA APIs and functionalities offered by the Open Baton framework (http://openbaton.github.io/documentation/). The work on these interfaces has been documented in the handbook. But this is an on-going work and the final definition will be published by the SoftFIRE project by November 2017. SoftFIRE will make use of the Open Baton 4th release, which was launched in April 2017. The Open Baton installation in SoftFIRE provides the following components: NFVO, Generic VNFM, Autoscaling Engine, Zabbix Plugin, and OpenStack driver. Experimenters could also consider extending the set of components provided by the Open Baton framework. For this they could make use of the Open Baton SDK and build either a new VIM driver, Monitoring driver, VNF Manager, or external component (using the event mechanism, please refer to the documentation). In this case, the experimenter should host the additional developed components on their own premises and interconnect them to the Open Baton framework via the RabbitMQ message bus. The monitoring functionalities are implemented by the Zabbix system, and are provided as a service to experimenters. In addition to the changes on the SoftFIRE Middleware, the SoftFIRE consortium has worked to provide SDN technologies either as virtualised or physical entities available in some of the testbeds provided. Currently, some of the individual testbeds already integrated OpenDaylight controller (ODL Boron SR-2) under OpenStack Neutron to manage the network flows on the compute nodes via the OVSDB 2.7.0 south-bound plug-in. Network programmability could be realised via a set of OpenDaylight RESTCONF APIs exposed by the ODL controller. However, the access to the ODL API will be subject to mechanisms to lower the risk of interfering among virtual object user data configuration. Therefore, access to the SDN technologies is granted in such a way that each experiment could work independently without interferences from other running experiments. SoftFIRE is updating the production environment supporting the new functionalities and it will go operational by end of October 2017. NOTE: Please note that these specifications may change according to the progress and the expansion of the Testbeds. The evolution of the architecture of the federated testbed exposed to experimenters via the SoftFIRE Middleware will be consolidated during the execution of the Second Open Call. The experience gained during the execution of the second wave will be translated into better usage of the experimentation framework. More details about the status of the new development and full documentation will be timely published on the web portal of the project (docs.softfire.eu) and on the slack channel. Proponents and experimenters are advised to check the website in order to be updated. For these reasons, the interfaces may be slightly different, however the SoftFIRE consortium will try to document and maintain compatibility with the previous functionalities. Shortly before the start of the Third wave of experiments, the project will provide a Tutorial describing the novelties and explaining how to properly use the new SoftFIRE production federated testbed. In this way, all the experimenters will be able to start experiments conveniently and in due time. Applicants are suggested to carefully read this document and to refer also to the website of the project for timely information. Applicants can also refer to opencall@softfire.eu to get in contact with the project in case they need to clarify any questions reagarding this Open Call. Selected applicants will be granted access to the SoftFIRE federated testbed and will receive support from the consortium on how to access to the production Federated Testbed and will receive full documentation. For the feasibility check, it is mandatory that proposers get in contact with the SoftFIRE partners for the proposed experiment to discuss its feasibility within the SoftFIRE federated testbed and the related specific requirements. Each proposer must submit his draft proposal (mandatory) through the submission portal latest by 20 September 2017, at 17.00 CEST (Brussels time) (sharp deadline). The draft proposal must contain at least sections A, B and C fully completed. Feedback by the SoftFIRE consortium will be provided latest by 29 September 2017 and has to be indicated in Section D of the proposal template. Organisations willing to submit a proposal must do so by using the Proposal Template available on the website. Proposals are submitted in a two steps phase: first a complete technical proposal (containing Sections A, B and C of the proposal template) has to be submitted for a feasibility check and after the feedback the final version of the proposal that encompasses the suggestions and hints resulting from the feasibility check has to be submitted formally before the deadline. All detailed Information about the SoftFIRE Third Open Call can be found also on the project’s website http://www.softfire.eu/open-calls/ giving indications on how to structure a proposal, how the proposal should be submitted and the criteria for evaluation. can only be selected for funding for one proposal (even if the proposer submitted multiple proposals that are ranked high enough to be selected for funding). Please note that parties having been selected and funded in previous SoftFIRE Open Calls are not eligible to participate again. SoftFIRE consortium members cannot apply to this call. Applicants must clearly indicate in their proposal the results they intend to achieve and how to measure them providing a set of measurable Key Performance Indicators (KPIs) to be validated during the contract negotiation phase. This is a mandatory requirement for any proposal. Applicants must use the proposal template available at www.softfire.eu/open-calls/. In the document, applicants will find instructions specifying the type of information expected per section. Each section should not exceed the maximum number of pages as indicated in the proposal template. The applicants are solely responsible for completing all required fields in the template according to the instructions. The proposal can be submitted by one legal entity. In case the proposal will be successfully selected, these legal entities will become Subgrantees of SoftFIRE as described in section 6. The proposal must be prepared in English. In order to check the feasibility of the proposed experiment, the SoftFIRE project requests to have draft proposal (with Sections A, B and C of the proposal template fully completed) by 20 September 2017, 17.00 CEST Brussels Time to be submitted via the submission portal. The draft proposal will be evaluated for its real implementability on the current version of the SoftFIRE Federated Testbed. By 29 September 2017, proposing parties will receive a feedback on the feasibility. They will have time up to the call deadline, 04 October 2017, 17.00 CEST (Brussels time), to adapt their proposal accordingly in order to make it aligned with the capabilities of the platform indicating in Section D of the proposal template the feedback received from the SoftFIRE consortium in the feasibility check. Please note that the feasibility check does not provide a commitment that the proposal will be selected. Proposals must be submitted electronically in PDF format ONLY at www.softfire.eu/open- calls/. If you discover an error in your proposal, and provided that the call deadline has not passed, you may submit a new version. Only the last version received before the call deadline will be considered in the evaluation. Proposals must be received by the closing time and date of the call. Late proposals, or proposals submitted in any other way than through the online submission form, will not be evaluated. As soon as possible after the close of call, an Acknowledgment of receipt will be emailed to you by SoftFIRE. The sending of an Acknowledgement of receipt does not imply that your proposal has been accepted as eligible for evaluation. a final report in which achieved results and measurable evidence that KPIs have been achieved are clearly reported and documented against the original objectives. a full HD video to document their experiments. a report about their experience with the federated testbeds and provide hints and suggestions on the NFV/SDN technologies made available by SoftFIRE. The evaluation will be performed by a panel of internal and external experts. Internal experts are members of the SoftFIRE consortium having the technical knowhow, special knowledge of SoftFIRE testbeds and/or relevant business expertise; external experts are selected according to their specific knowledge of the SDN/NFV and 5G domains. As a general rule, the level of innovation and novelty, the quality of the proposed experiment and of the executing team will play a major role in the selection process. Those general criteria are further elaborated in Table 1. The proposals submitted by parties who have not yet been or are not participating in FIRE- projects or Open Calls from FIRE-projects will receive an extra “1” point on top of the criteria “Contribution to the creation of a SoftFIRE- based Ecosystem”. This measure is introduced to positively discriminate such new players and open the SoftFIRE federated testbed to a wider community. Based on the received scores, proposals will be ranked and shortlisted. Shortlisted proposals will be invited to negotiate the final terms of the agreement, including the workplan, budget and relevant results/achievements. Selected organizations will become a Third Party of the consortium using Cascade Funding (also known as sub-granting). In the remainder of this document a ’Third Party using Cascade Funding’ is referred to as Subgrantee. Contracts with the Subgrantee will be done by SoftFIRE’s coordinator, EIT Digital IVZW. The administrative tasks for the Subgrantee, including cost and activity reporting obligations and related documents will be provided during the negotiation and contracting phase. An Activity Report containing an analysis of the achieved results against those negotiated in the contract. The Subgrantee shall also report about its experience with the federated testbeds and provide hints and suggestions on the NFV/SDN technologies made available by SoftFIRE. Full HD Video describing how the experiment was conducted on top of SoftFIRE infrastructure. This video material will be uploaded in on SoftFIRE portal and will be produced in accordance to rules that SoftFIRE consortium will be providing. cost report detailing all eligible costs incurred. Eligible costs consist of personnel costs, direct costs (such as travel, equipment, etc.) and indirect costs. Subgrantees have to comply with the rules and the principles mentioned in Section I, Article 6 (Eligible and ineligible costs) of the H2020 AGA – Annotated Model Grant Agreement (see http://ec.europa.eu/research/participants/data/ref/h2020/grants_manual/amga/h2020- amga_en.pdf), in the same way as the beneficiaries of the SoftFIRE project. The rules concerning eligibility of costs, identification of direct and indirect costs and upper funding limits can be found in Section I, Article 22 of the H2020 AGA. - 25% of the agreed upon funding will be provided at the time the contract is signed. - Based on the evaluation of the final report, a payment of up to 50% of the requested funding will be carried out by the SoftFIRE project coordinator. - The remaining 25% will be paid following the formal approval of the final report and corresponding work by the European Commission (EC). Please refer to http://www.softfire.eu/open-calls/ for the complete documentation. Agreement. Details will be defined during the negotiation phase. The intention is to have the platform available 24 hours a day / 7 days a week. However, the project cannot guarantee any SLA in case of loss of services. In other words, platform will be available on a best effort basis. Outside this timeframe: issues/requests should be emailed and will be managed at best effort. Please check your local time correspondence (http://www.worldtimebuddy.com/). The SoftFIRE infrastructure is composed of loosely integrated platforms under different administrative domains. In addition, the different platforms are built for experimental purposes and they are not yet considered a mass production tool. This means that bugs and issues in the platform behaviour can occur and will occur. Actually, the scope of the experiments is also to support the tune up and the assessment of the platform as a whole. SoftFIRE aims at programmers, but not all the features for a fast programming approach are provided. This is due to differences in the component testbeds and to security controls imposed by different administrative domains. The programming phases could result in a cumbersome and not particularly attractive process. Service level agreement (SLA) agreements do not apply for the experimentation phases, because the SoftFIRE platform is a testing and development environment. Experimenters should not run production applications on the infrastructure Platform during the trial. The SoftFIRE project reserves the right to discontinue at any time the service if the use is not consistent with the purpose of SDN/NFV and/or violate any aspects of infrastructure security or shall conflicts any on-going experimentation. During the running period of the experiments, the SoftFIRE project will put in place a team that will support the experiments in their work on the platform. It is not offered as a professional service and its operations will be on the basis of best effort. The entire infrastructure is α-test platform. Possible downtime could occur without notice or due to overload caused by parallel experiments. SoftFIRE will offer expertise available by email or dedicated slack channel (with possible follow- up by phone) and two hours per day during the experimentation phase in order to collect issues and provide responses. We will try to provide most of the answers by 24 hours (typically next morning or afternoon). Some issues could be not solvable due to the short time of the experiment period or due to the need to intervene on the platform. The supporting team will work with experimenters to circumvent the problems. The project will also issue limits and constraints on the allocation of available resources. This is due to the need to support and allow parallel experimentations. These limitations depend on the total capabilities of the federated platform as well as the number of experimenters and their requests in terms of resources. Typical limitations could be related to the max number of VMs to be instanced, the number of physical resources usable or the max memory usable per experimenters. Other limitations could apply, or be notified during the course of the experimentations. Additional information for the experimenters will be updated in the SoftFIRE portal at http://www.softfire.eu.